STAR WARS fans certainly found plenty of reasons to celebrate at Star Wars Celebration in Chicago. The annual event gathers die-hard STAR WARS fans as a community to learn what’s coming to theatres from the galaxy far, far away. And Lucasfilm and Disney did not disappoint when it came time to deliver the goods. 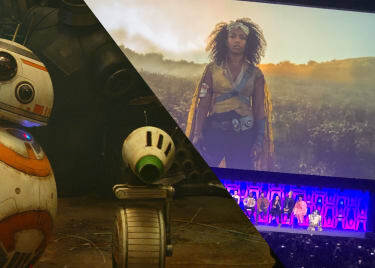 Clearly, the most anticipated panel of the entire weekend was held on Friday on behalf of J.J. Abrams’ STAR WARS: THE RISE OF SKYWALKER. 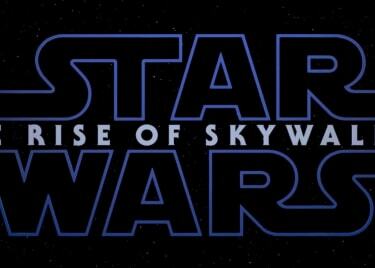 We know now that this is the title of the previously untitled STAR WARS: EPISODE IX, and as Abrams pointed out from the stage at Celebration, this will be the movie that concludes the Skywalker saga. This means that the story will continue threads that began way back in STAR WARS: EPISODE I – THE PHANTOM MENACE — which makes sense, because as fans probably know by now, the trailer for THE RISE OF SKYWALKER ends with a vocal cameo by an iconic villain, Emperor Palpatine. When we last saw this menace, he was being dropped down a massive hole by Darth Vader in an effort to save his son, Luke (Mark Hamill). How could the Emperor have survived all of this time? And what plans might he have for THE RISE OF SKYWALKER? We will find out for certain on December 20. Every year, Star Wars Celebration looks ahead to all of the exciting things to come from Lucasfilm, but it also celebrates its past and revels in the nostalgia created by the characters in this universe. 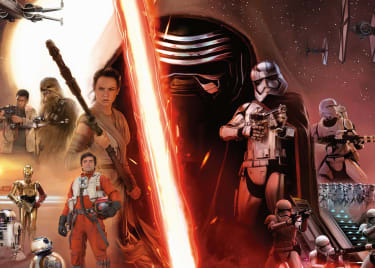 This can manifest itself in numerous ways at a convention like Star Wars Celebration, from the appearance of Billy Dee Williams as Lando Calrissian on the stage (as well as his cameo in THE RISE OF SKYWALKER footage), to the vendors that sell collectible memorabilia on the showroom floor. One big way that Lucasfilm celebrated the legacy of STAR WARS was with a full day dedicated to THE PHANTOM MENACE, which turns 20 this year. Key cast members were in attendance for this panel, and the movie was shown as part of a marathon STAR WARS screening. Celebration spread its influence to all avenues, and fans learned about ways that the galaxy will expand to the Disney theme parks, through the massive Star Wars: Galaxy’s Edge lands, as well as the upcoming Disney+ streaming service. But the highlight also had to be the fans who came to Chicago to celebrate their love of STAR WARS through elaborate cosplay. We saw some incredible home-made costumes and props. It was a joy to see a community come together like this with such passion and appreciation for what George Lucas created more than 40 years ago. 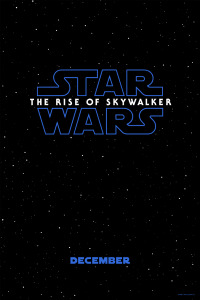 The STAR WARS saga continues, and concludes, on December 20 when STAR WARS: THE RISE OF SKYWALKER hits AMC theatres near you.